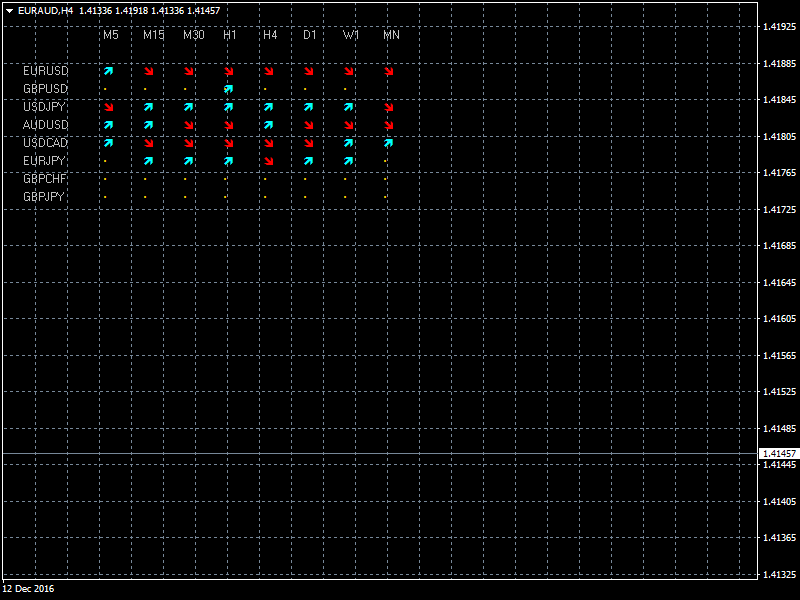 MetaTrader4 indicator i-BJF-MASlope shows the table of MA slope for selected symbols and timeframes. We recommend to open BUY on positive slope and SELL on negative slope. "Trade Symbols" inputs makes it possible to select trade symbols. 3 selections available: Chart Symbol, Market Watch Symbols, Custom List Symbols. "TimeFrames" inputs makes it possible to select used timeframes. "MA" inputs makes it possible to define MA parameters. "Graphic Options" inputs define draw options. We offer to add popup/sound/email/android alerts on change of MA slope for some extra cost.